You love watching every gut wrenching moment of the game and wouldn't miss a single minute for anything in the world. 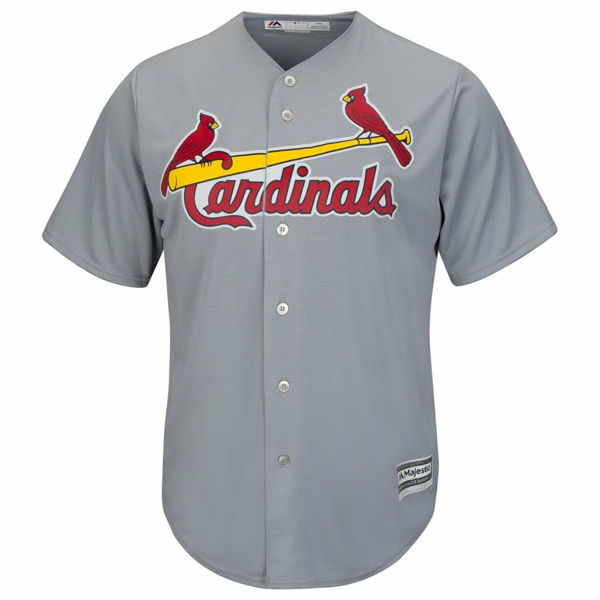 Show your die-hard St. Louis Cardinals pride with this Player jersey. Featuring Cool Base technology and tackle twill applique St. Louis Cardinals graphics, this jersey from Majestic is the perfect way to boast your devotion for your team and favorite player while staying cool and comfortable.